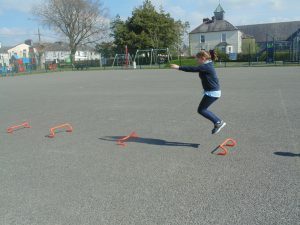 Physical Education provides a broad and balances curriculum for all children. 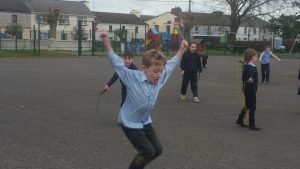 Teachers cover each of the above six strands over the school year. 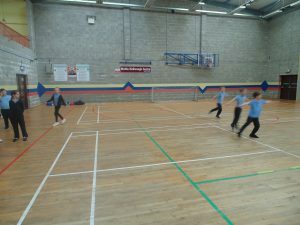 Each class receives a minimum of 60 minutes of physical education per week. 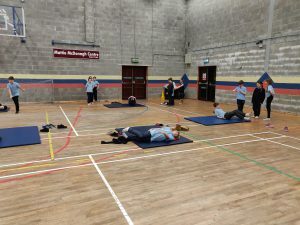 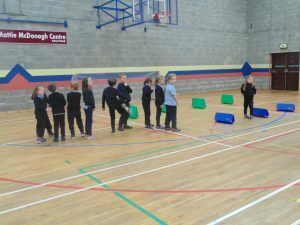 In the case of aquatics; classes from 1st– 6th receive a seven week block of swimming lessons in Roscommon Leisure Centre. 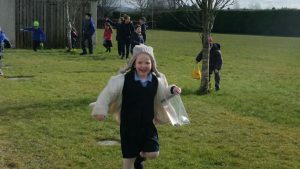 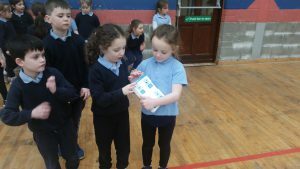 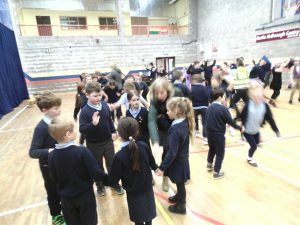 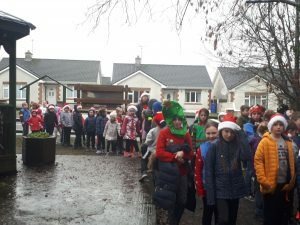 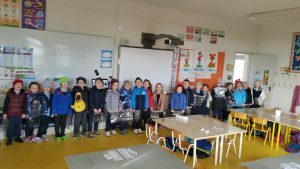 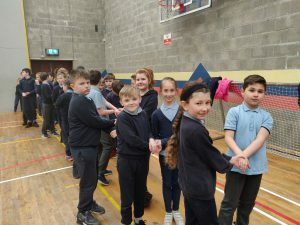 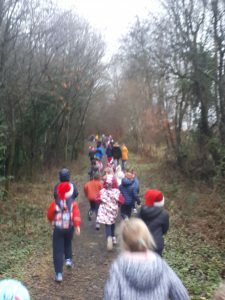 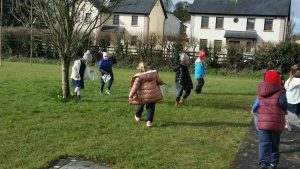 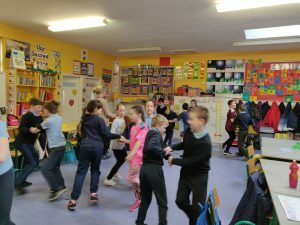 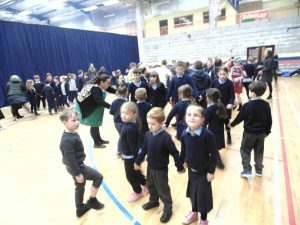 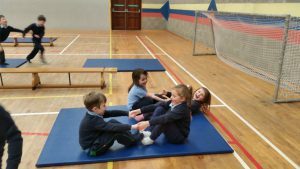 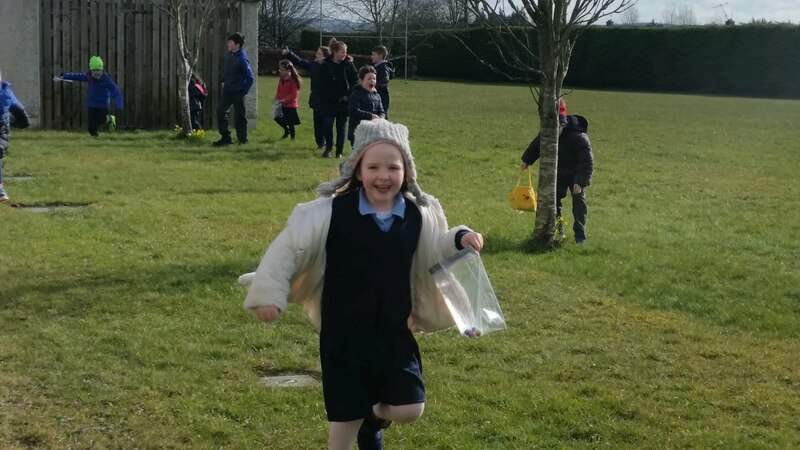 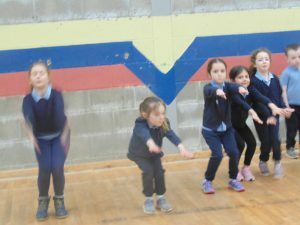 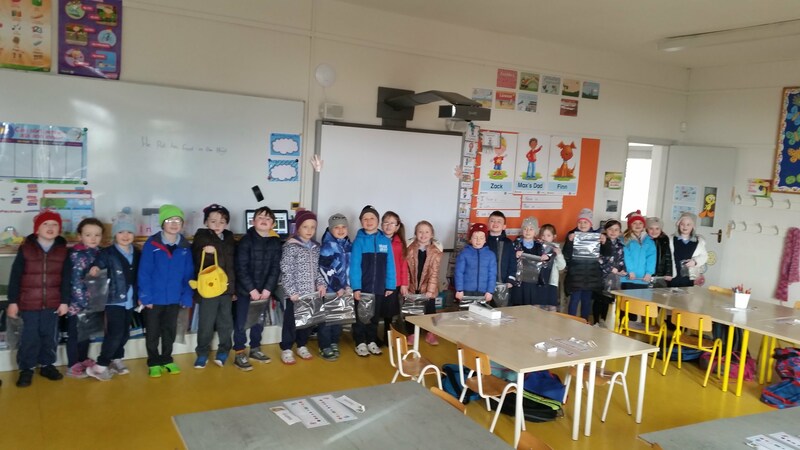 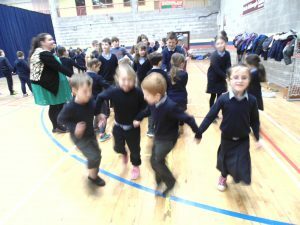 This year Junior and Senior Infants covered the ‘Land Paws’ programme (Primary Aquatic Water Safety) This is classroom-based and focuses on water safety theory and land-based skills. 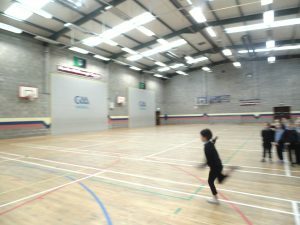 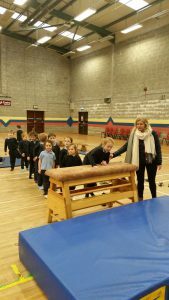 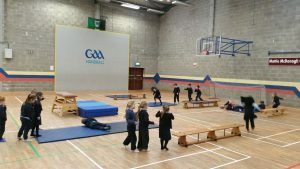 At the start of the Active School Flag process the staff of Ballygar National school carried out an evaluation of our P.E policy and looked at the teaching of each strand. 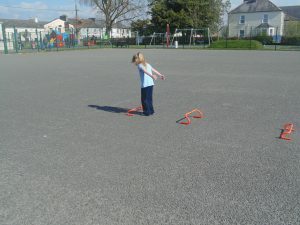 On reflection we decided to update our P.E policy and to focus on the strand of Athletics for the current school year. 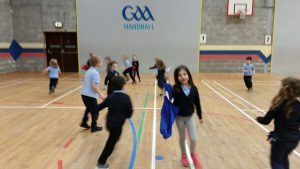 Please take the time to view our updated P.E policy on the link below. 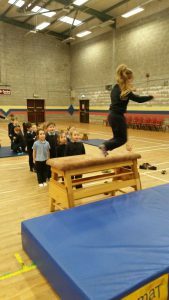 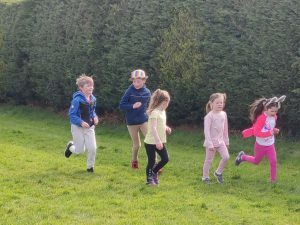 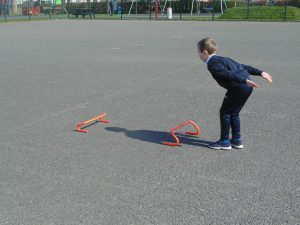 The Athletics strand provides a variety of opportunities to engage in the natural activities of running, jumping and throwing. 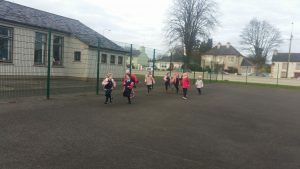 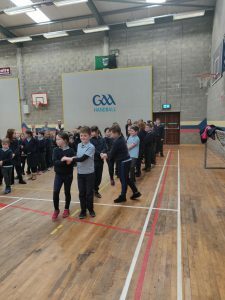 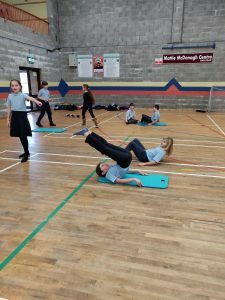 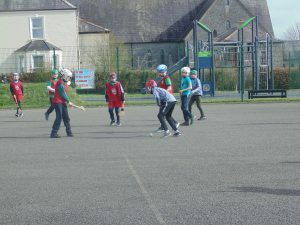 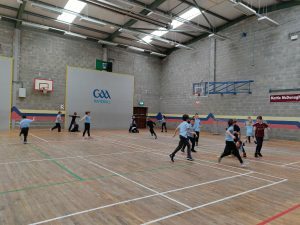 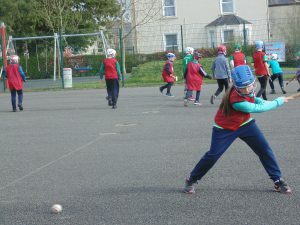 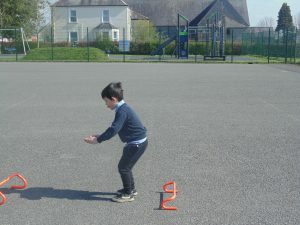 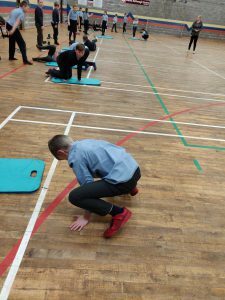 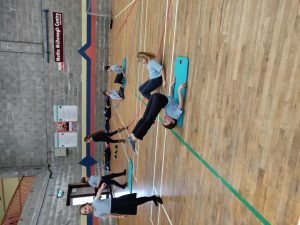 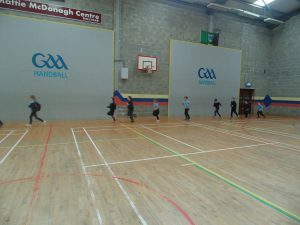 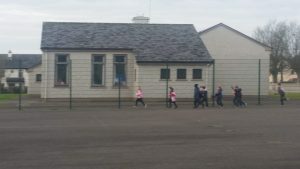 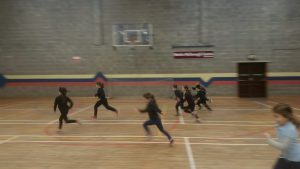 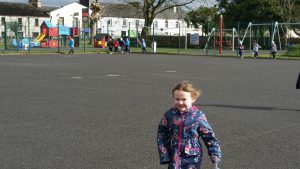 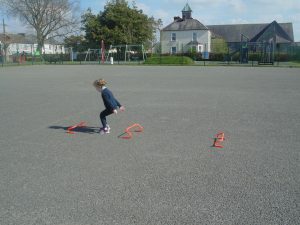 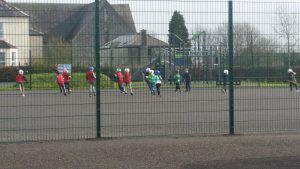 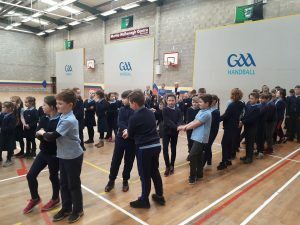 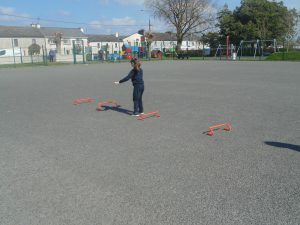 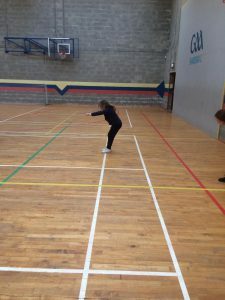 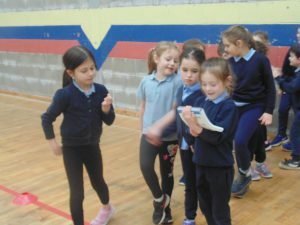 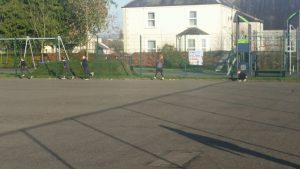 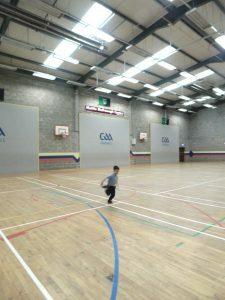 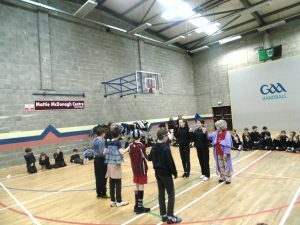 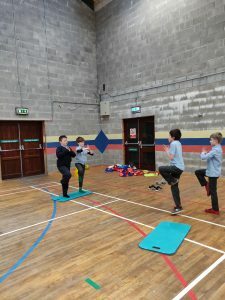 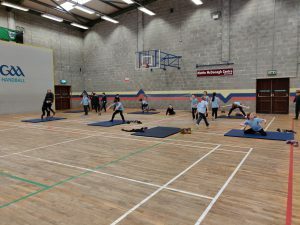 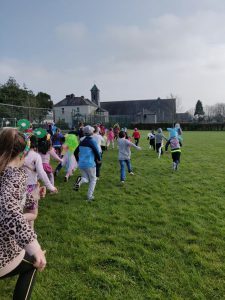 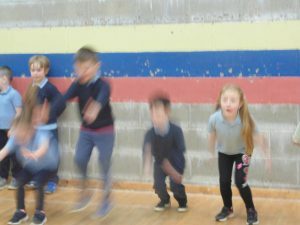 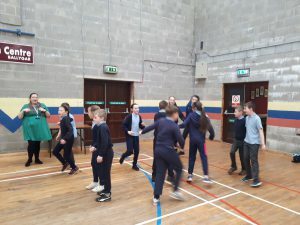 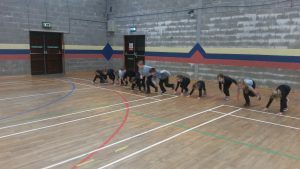 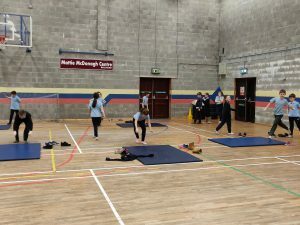 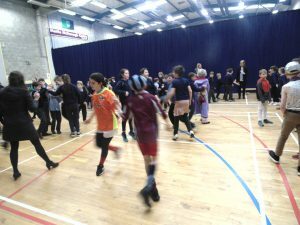 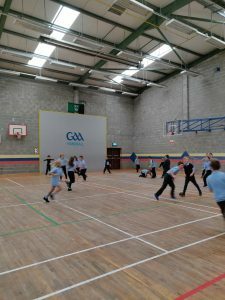 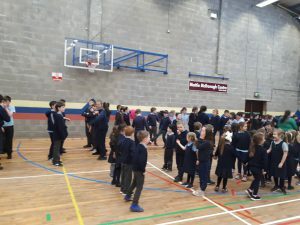 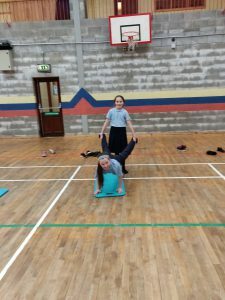 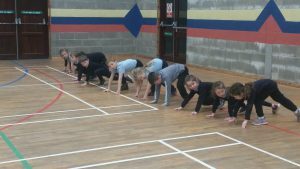 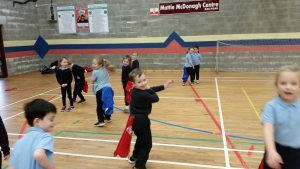 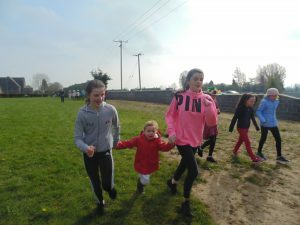 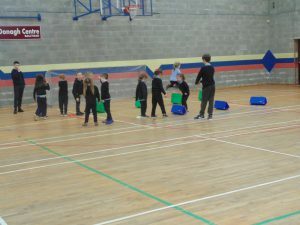 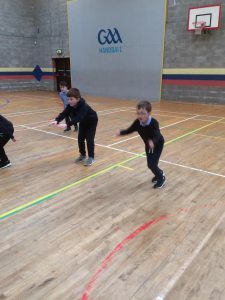 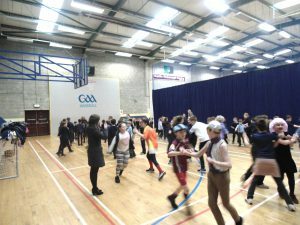 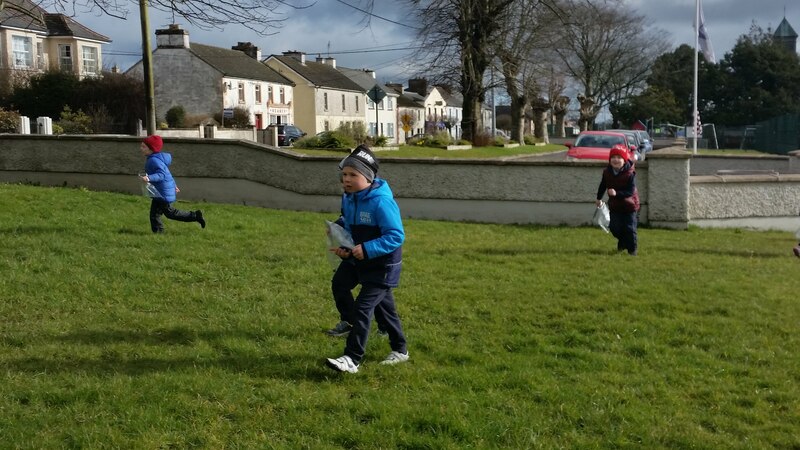 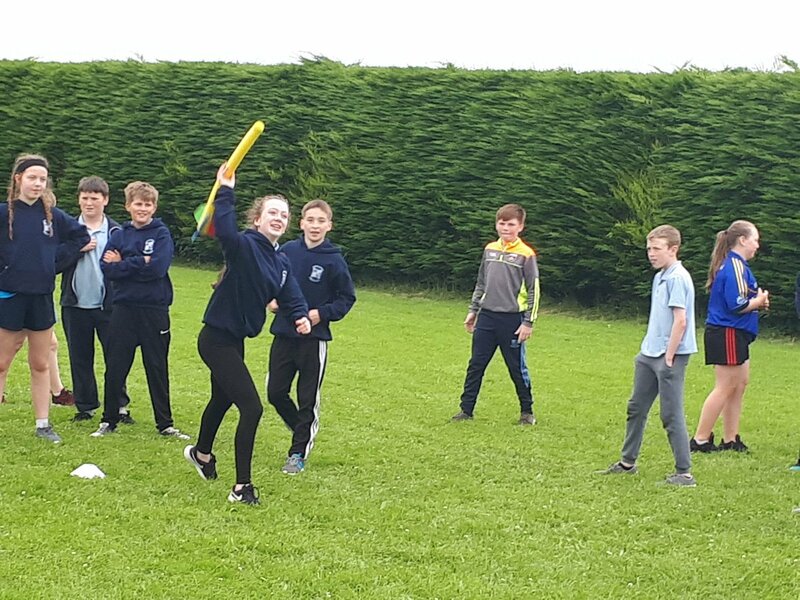 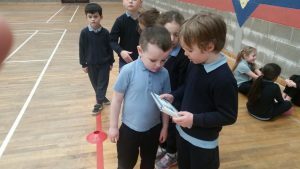 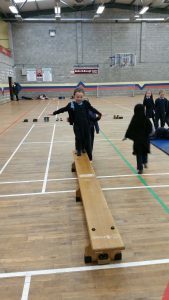 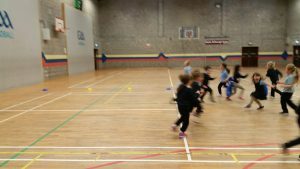 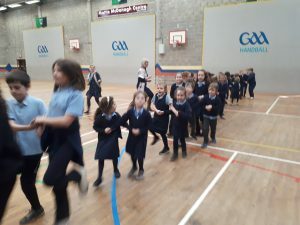 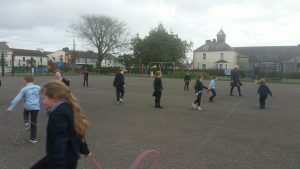 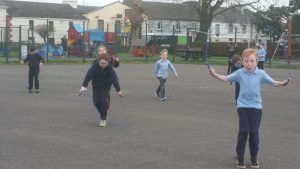 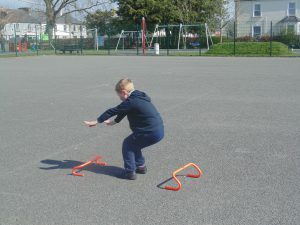 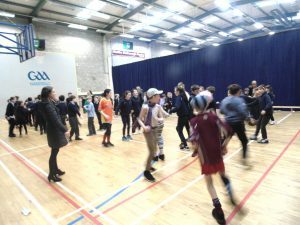 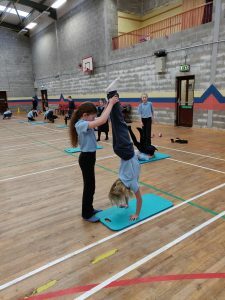 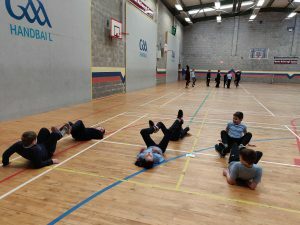 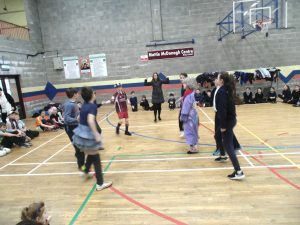 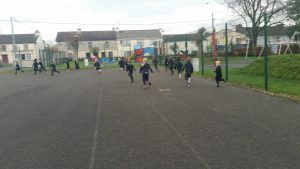 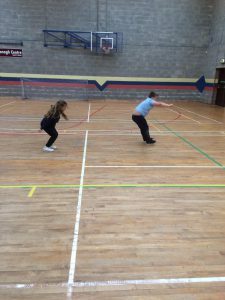 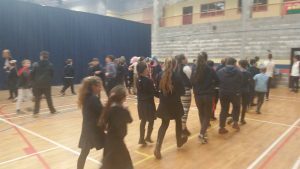 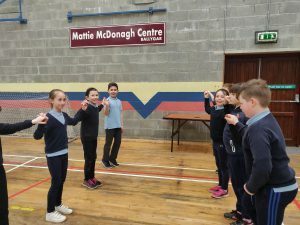 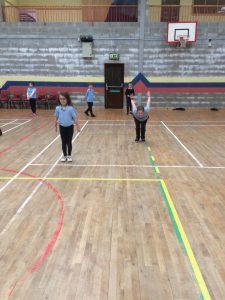 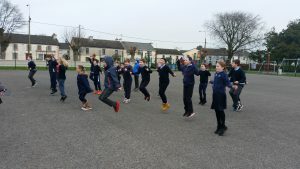 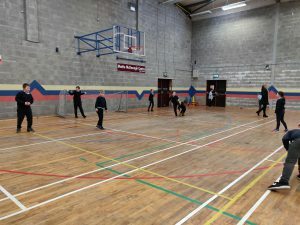 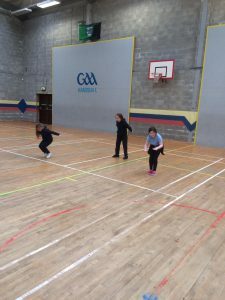 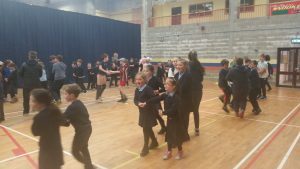 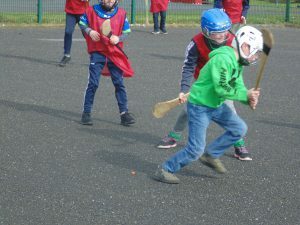 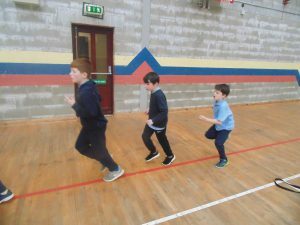 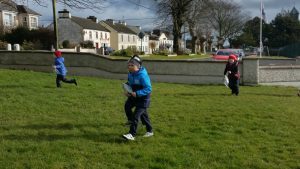 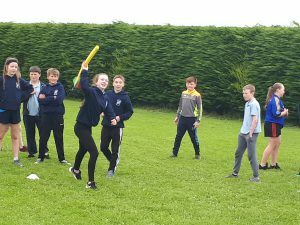 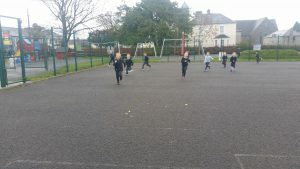 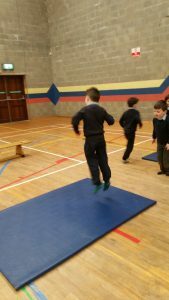 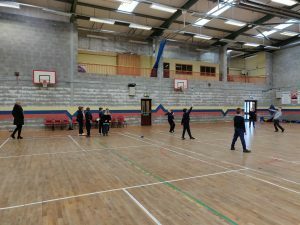 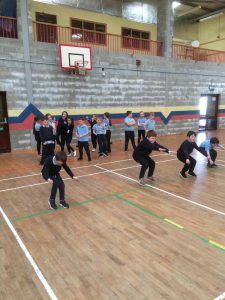 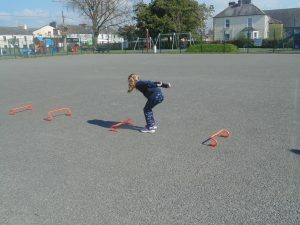 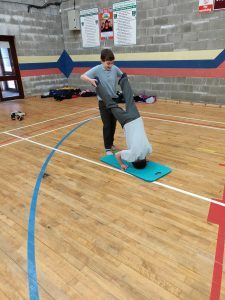 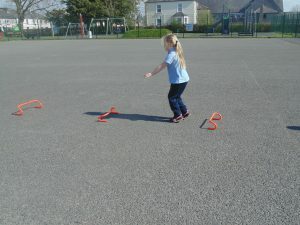 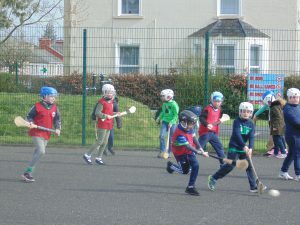 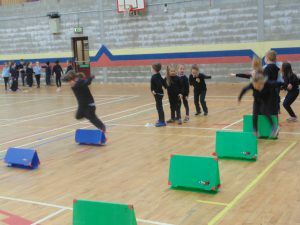 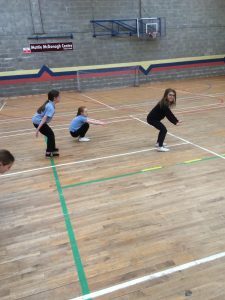 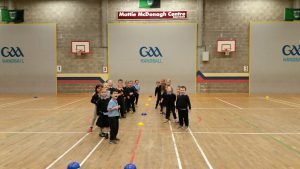 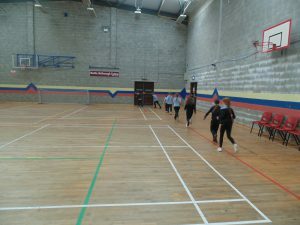 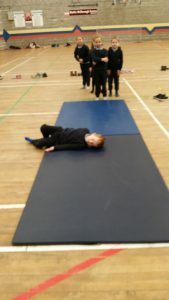 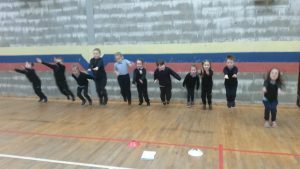 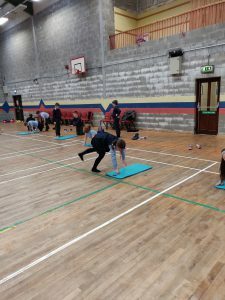 As Athletics was our strand of development for this academic year we took part in many running/skipping initiatives and focused on developing the skills and techniques of the athletics strand.